Providing fresh flowers and memorable gifts for any and every occasion. 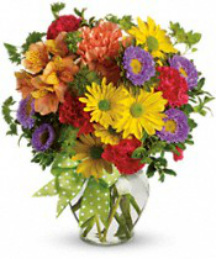 Burton-Jennings Florist is a premiere florist located in Brookneal, Virginia. For generations, floral designer, Ruby Jennings and her family, have been bringing the world’s most exquisite flowers, stunning floral design and exceptional customer service to the charming Southern area of Brookneal and its surrounding counties. We have a passion for flowers and we look forward to sharing that passion with all our clients, present and future. Along with beautiful fresh cut flower arrangements, we offer silk wreaths, memorial stone saddles, and decorative silk arrangements for home decor. Affiliated with Teleflora & FTD. Prices vary, and flowers of similar size, color and value may be substituted according to availability. *orders NOT accepted online. Please call to place your order and speak to a shop representative to get your order just right! 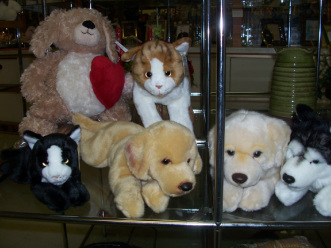 Variety of Ganz plush animals are for sale starting at ONLY $6.95! Balloons are available in Mylar and Latex call for designs/prices. All colors of mixed cut roses are available for the special day and select blooming plants! New Spring Jewelry line going up Right Now!